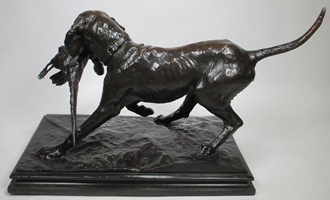 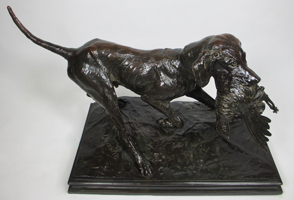 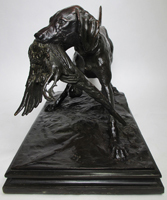 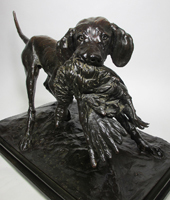 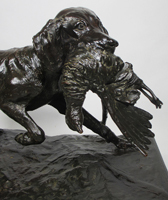 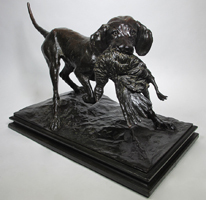 Emil Wünsche (German, 1864-1938) A Large German Overlaid Brass Figure Titled "JAGDHUND MIT FASAN" (A Hunting Hound-Dog with its Pheasant Prey). 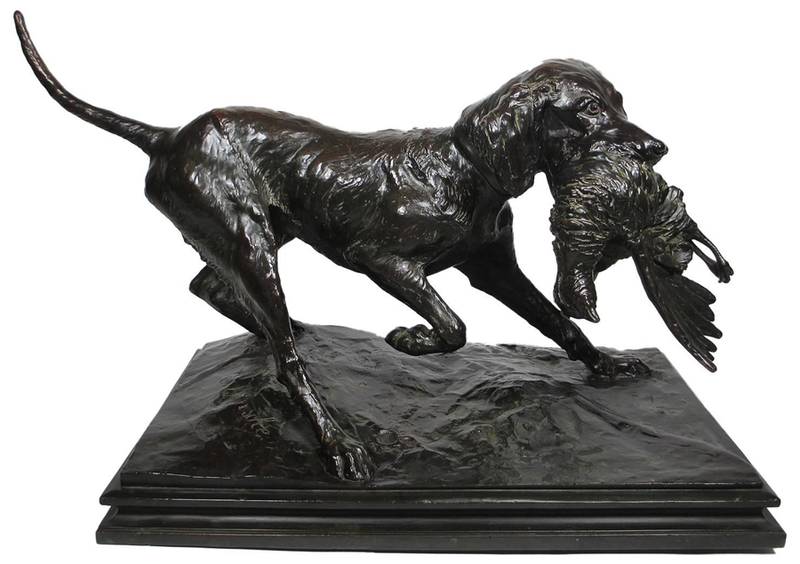 The beautifully executed model of a hound, depicted with a recently retrieved pheasant, with fine attention to detail and in a dark patina. 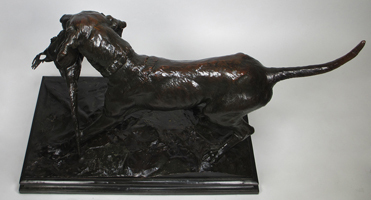 Signed on base: E. Wünsche. Circa: 1890-1900.